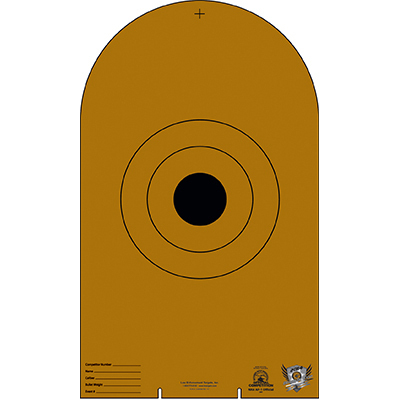 Modified NRA-D-1 Bianchi Cup cardboard target featuring printed scoring lines in place of the perforations. Same scoring and shape as the "Tombstone" target with the added shading in center scoring. The target also has mounting holes to work with many different styles of turning systems.Note: "Die cut target & no rectangle".